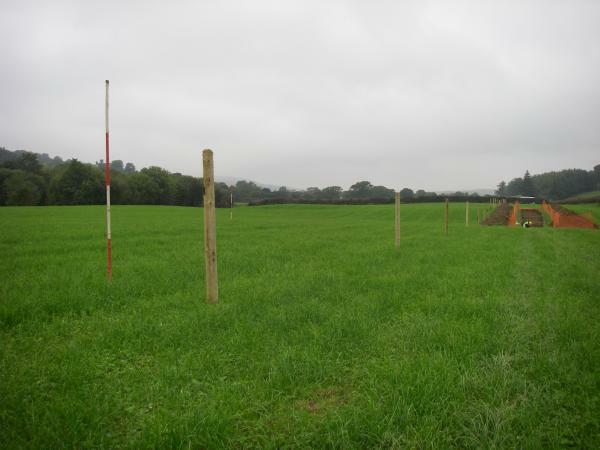 Wessex Archaeology undertook a scheme of evaluation trenching following geophysical survey along the route of an intended water main at Llangadfan, Powys. A total of 12 trenches were excavated over geophysical anomalies. 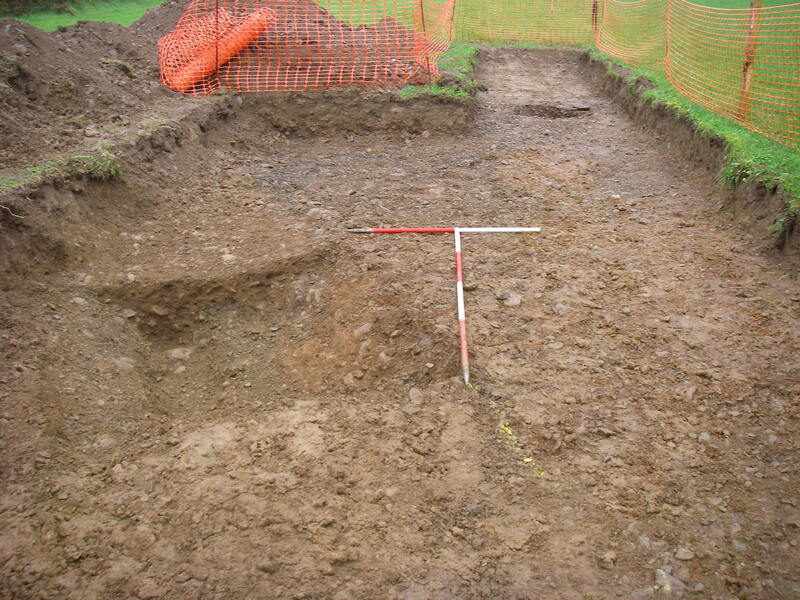 Trench 12 proved to be of the most archaeological interest. Two ditches were identified which correlated with a possible enclosure identified by the geophysical survey. No datable material was uncovered. Other features, such as drainage ditches and pipes, were uncovered and correlated with geophysical anomalies.